In an attempt to keep my mind off the impending doom my country faces, I thought I’d write one of my “Stuff I Like” posts because what is more American than consumption? Pocket Casts is a podcast player that works on my Android phone, my iPad, and in a browser on my laptop. Better yet, it keeps my podcasts in synch across all these devices. So if I listen to half a podcast while I’m working on my computer, I can pick it up in the same spot when I’m listening to my phone in my car. Before I started using Pocket Casts I lost track of a lot of episodes I wanted to hear. The good news: You can mark episodes you want to listen to later. The bad news: I’ve marked 104 episodes to listen to later. I should probably face facts and start removing some of those, or go on a very long road trip. You have to pay a one-time fee for each platform you want to use Pocket Casts on, but they give you a free trial period so you can test it before you buy it. Purchasing it on three platforms cost me $17.19 all together and was well worth it. Some of my favorite episodes are “A Rickle in Time” (S02E01) which uses the premise of alternate dimensions in a great visual manner. 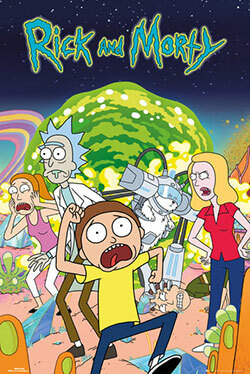 I also like “Total Rickall” (S02E04) where the family has to fight parasites that implant false memories in them. “Meeseeks and Destroy” (S01EE5) is pretty classic too. You can watch the full series on Hulu if you’re a subscriber. Next to Normal is a musical that debuted in 2009, but somehow I missed it. I think I might have been distracted by Billy Elliot, which won most of the Tonys that year. 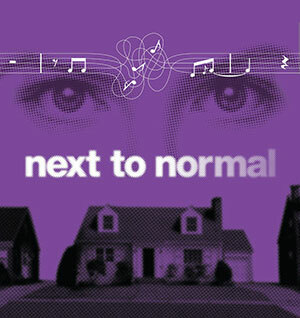 I heard about Next to Normal in a roundabout way when I was listening to a “Freakonomics” podcast episode and the person being interviewed mentioned he’d once worked with a guy who’d won the Pulitzer for a musical in 2009. I had no idea what musical he was talking about, so I looked it up, listened to it on Spotify, and became mildly obsessed, eventually watching bootleg copies of the show on YouTube. So, yeah, it can get heavy, and I wouldn’t necessarily reach for this if you need a feel-good story, but it did speak to me. I’m not bipolar, but as someone who has a chronic illness that will probably never go away, I related to a lot of the content, particularly how there’s not really a cure, you just manage things as best as you can and try lots of different treatments. I should also note that the performer names for most of the songs are wrong on Spotify and on the Amazon digital copy I purchased, which is a bit confusing when you’re listening to the songs for the first time. 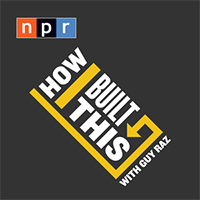 How I Built This is a fairly new podcast that interviews successful entrepreneurs about how they started their businesses. As someone who’s been self-employed for over 7 years, I’m pretty interested in this topic. 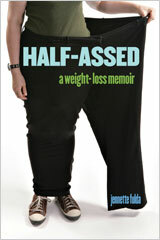 It’s reassuring to know that most of these people faced significant challenges, but were able to overcome them. The first episode with Sara Blakely, the founder and creator of Spanx was particularly enjoyable. It was nice to know that she sometimes got scared when doing her first job, selling fax machines to businesses, and would sometimes walk out of an office instead of doing her pitch, pretending she’d walked into the wrong place. She had to do a lot of hustling to get her product out there, and it was inspiring to hear about how far she came and all the legwork she put into making her business a success. TINY RICK! I love Rick and Morty! 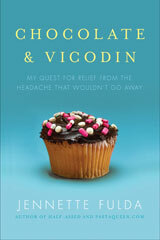 @Kim – Glad to hear you’re enjoying the book! Thanks for stopping by.